After some low-quality images leaked online, in its wisdom Jeep decided to release a trio of sketches showing its new mystery concept, which will make its debut next week in Shanghai, in a much better light. Originally thought to be called the K8 Hybrid, reports are now suggesting it will be dubbed the Jeep Yuntu Concept. The three-row crossover appears to carry some futuristic design cues, typical for a concept and almost certain to be dropped in favor of a more rugged aesthetic by the time of production. The seven-slot grille comes flanked by svelte LED headlights up front, with thin taillight clusters at the rear, but it’s the profile that provides the most interesting insight. Square wheel arches housing two-tone alloys wrapped in offroad rubber and plastic-clad side skirts are to be expected, but the slender side mirrors and flush door handles are not. Look closely and it appears that the concept will boast suicide doors. Another curious feature can be found at the back in the shape of a vertically-split tailgate. A plug-in hybrid powerplant is indicated by the PHEV lettering on the doors, but there’s no confirmation of what engine setup the production model will utilize. We’ll just have to wait and see when the concept is unveiled at the Auto Shanghai next week. 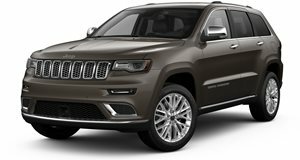 Remember that Jeep sells the Cherokee in China. Chances are, dealerships have indicated the desire for a stretched hybrid version of the SUV. After all, a low-polluting vehicle with extra cabin space is an enticing package in this part of the world. That said, a Chrysler-badged three-row SUV would also go down well in the US, so we’ll have to see whether the Yuntu becomes a China exclusive or is offered to other markets too.